ECB lays down the minimum standards for automated fitness checking, with an acceptable tolerance level of 5%. 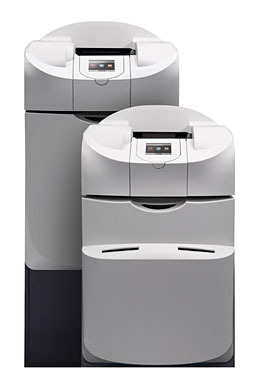 Teller Cash Recycler (TCR) is one out of many versions of a Teller assist unit (TAU). Thus, TCR’s are electromechanical devices used in retail banking for the disbursement and deposit of banknotes, supporting decisively the bank teller transactional operations. Among others, TCR’s are also deployed in casino operations, large retailers’ back-office.